Reston residents can get more information about the planned paid parking system at Reston Town Center at a meeting Thursday at the Hyatt Regency Reston. While the meeting is aimed at town center homeowners, residents and merchants, members of the public can also attend. This is a venue change — the meeting was previously scheduled to be at The Avant but has been moved to accommodate more people. 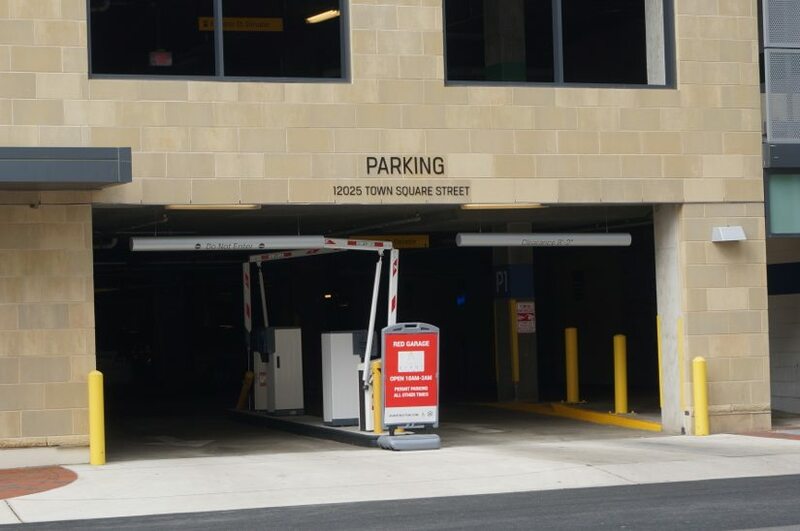 The meeting will run from 6:30 to 8:30 p.m.
Reston Now reported two weeks ago that Boston Properties, which owns Reston Town Center, will phase in a paid parking system beginning Aug. 1. The app-based system, RTC Park, will also help patrons locate their car and pay the parking charges by credit card. Parking will cost $2 an hour. Store and office employees will have to pay for parking as well, but monthly passes (up to $70 for office workers; $50 for retail workers) are being offered. Many stores also say they will offer validation, but that exact plan has not yet been worked out. Parking will still be free on weekends, holidays and during major community events such as the holiday parade, Oktoberfest Reston or the Northern Virginia Fine Arts Festival. There will also be designated free parking for quick stops at stores such as FedEx, CVS and the dry cleaners. 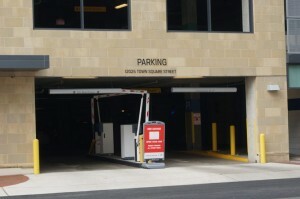 RTC officials say the paid parking is necessary to cut down on commuter parking, which has increased since the Wiehle-Reston East Metro station opened in 2014. The Reston Town Center Metro station will not open until early 2020. Many RTC patrons say they are outraged by the decision and will take their business elsewhere. Online petitions are also circulating to try and persuade Boston Properties to change their minds.